We all know, at this point, that Hendricks County, Indiana, boasts an impressive variety of top-notch restaurants. What you may not have known is that Yelp is now integrated in our listings for that ever-growing list of dining options. So, we had our friends at Yelp help us put together a list of the top-ranked establishments. Whether you&apos;re visiting and need some good guidance, or you&apos;re a resident looking for some new restaurants to try, this list is one you&apos;ll want to read. The list includes the best restaurants in Hendricks County according to Yelp. We identified businesses in the restaurants and food categories, then ranked those spots using a number of factors including the total volume and ratings of reviews. I frequent several of these establishments regularly and wasn&apos;t the least bit surprised by their ranking, others are restaurants I&apos;ve been meaning to visit. After reading reviews, I&apos;ll make it a point to check them out soon. What: Known for their large portions, friendly service and laid-back atmosphere. Delicious baked goods -- pies, cakes and every kind of specialty dessert you can think of. Try their Cinnamon Roll French Toast for breakfast -- an enormous, freshly-baked plate of heaven. 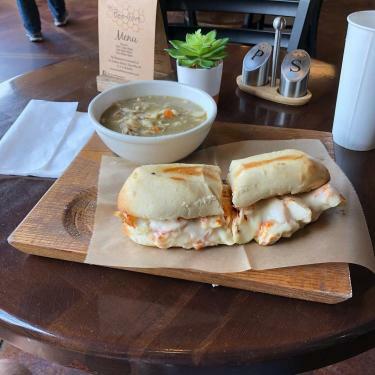 For lunch you&apos;ll find a variety of sandwiches and salads. You can&apos;t go wrong with any selection. Enjoy any dish with a cup of freshly brewed tea or coffee. There&apos;s a reason this restaurant earns the top ranking. What: Thai restaurant with a full bar. Elegant atmosphere and impressive food presentation. Known for their authentic Thai dishes with various spice levels to accommodate those that like it hot and those that prefer a milder dish. Their pad thai, crab rangoon and drunken noodles receive rave reviews as well as a number of cocktails. When: Lunch and dinner. Hours: 11 a.m.-9 p.m. Monday-Thursday; 11 a.m.-10 p.m. Friday and Saturday; 11:30 a.m.-9 p.m. Sunday. 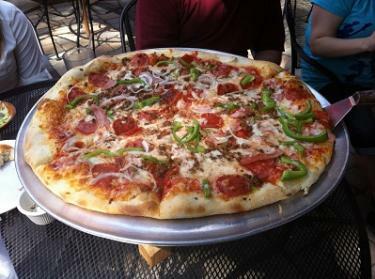 What: Known for their homemade crust, value and size options. Delicious New York-style pies, fresh ingredients, wings, appetizers and salads. Their "logs" get rave reviews -- a flaky crust roll available in savory varieties such as pizza or ham and cheese or dessert varieties including cheesecake. When: Lunch and dinner. Hours: 11 a.m.-10 p.m. Tuesday-Thursday; 11 a.m.-11 p.m. Friday-Saturday; 11 a.m.-10 p.m. Sunday; closed Monday. What: Delicious pizza, pasta, salads and calzones. Known for their fresh toppings and variety. Rave reviews for their "Big Noony" which can literally feed a crowd. Fast and friendly service. When: Lunch and dinner. Hours: 11 a.m.-9 p.m. Sunday-Thursday; 11 a.m.-11 p.m. Friday-Saturday. What: Known for their small-town charm, awesome service and great dining atmosphere -- both indoor and patio. Great specials including draft beer. Delicious pizza, fresh ingredients and great price with a pizza by the slice option. Large, fresh Italian entrees. Gluten-free options. Great salads and massive calzones. Cash only. When: Lunch and dinner. Hours: 10:30 a.m.-9 p.m. Monday, Wednesday and Thursday; closed Tuesday; 10:30 a.m.-9:30 p.m. Friday-Saturday; 10:30 a.m.-8 p.m. Sunday. What: Authentic Vietnamese restaurant. Known for their spring rolls, pho -- offered with a variety of meats and in a variety of sizes, authentic soups and sandwiches. Plenty of vegetarian options. Friendly service and excellent specials. When: Lunch and dinner. Hours: 11 a.m.-8:30 p.m. Monday-Thursday; 11 a.m.-9:30 p.m. Friday-Saturday; closed Sunday. What: Pork, chicken or beef smoked to perfection. On a bun or on a plate, it all receives praise. Unique sides such as tomato and zucchini salad, cheesy grits and ranch beans. Great beer selection. 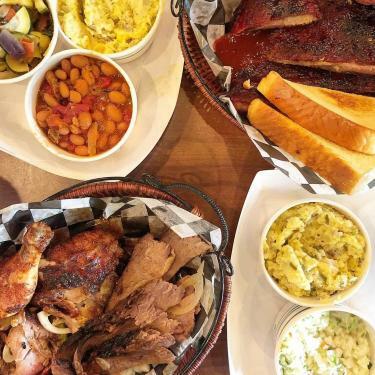 Traditional southern cooking, coupled with small-town charm. Don&apos;t forget dessert -- their banana pudding and pecan pie get rave reviews. When: Lunch and dinner. Hours: 11 a.m.-9 p.m. Monday-Saturday; closed Sunday. 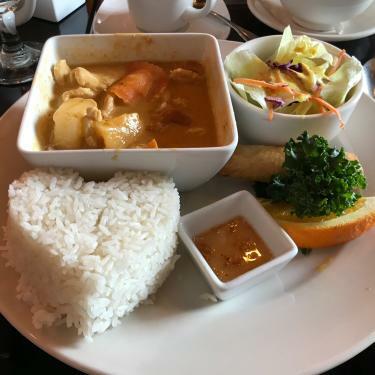 What: Authentic Thai cuisine. Known for their generous portions, flavor and fast service. Their crab rangoon, spicy curry dishes, variety of pad entrees, crispy spring rolls and wine selection are highly rated. Not greasy and full of flavor. When: Lunch and dinner. Hours: 11:30 a.m.-9:30 p.m. Monday-Thursday; 11:30 a.m.-10 p.m. Friday-Saturday; noon- 9:30 p.m. Sunday. What: Known for their delicious desserts, tea, specialty coffees, build-your-own salads, quiche, soups and sandwiches. Artisan market, small grocery items and carry-out casseroles available in their freezer. Fresh, homemade and naturally sweetened entrees and desserts. Big portions and big flavor. Try any sandwich that includes their aioli. When: Breakfast, lunch and dinner. Hours: 7 a.m.- 8 p.m. Monday-Saturday; 9 a.m.-4 p.m. Sunday. What: Authentic Greek dining with fun, beautiful atmosphere and friendly service. Rave reviews of their gyros, stuffed grapes, fresh Tzatziki sauce, appetizers, feta pasta and lamb dishes. Their flaming saganaki - that they light at the table - is a must. When: Lunch and dinner. Hours: 10:30 a.m.-11 p.m. Monday - Sunday. Tags: food, breakfast, lunch, dinner, Bread Basket Cafe & Bakery, Rusted Silo, Perillo&apos;s Pizzeria, Pho 36, Beehive, Opa!